Ref Watch: Dermot Gallagher ponders whether Tyrone Mings deliberately stamped on Nelson Oliveira? 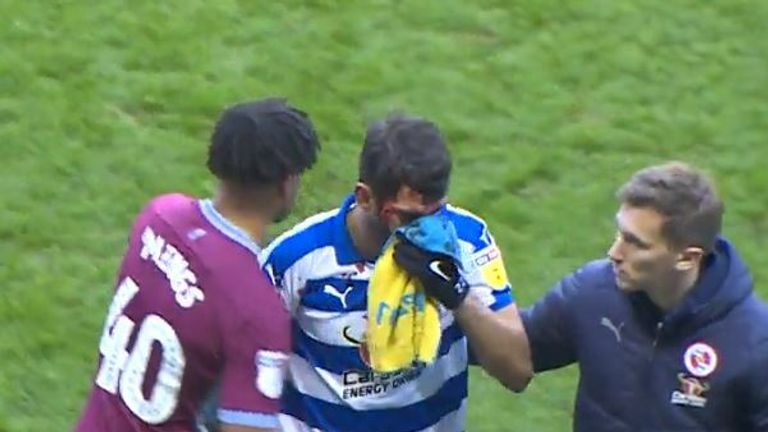 Should Tyrone Mings be banned for seemingly stamping on Nelson Oliveira? What about Sergio Aguero's hat-trick goal? Was it handball? INCIDENT: Mings catches Oliveira in the face with his boot while the Reading attacker was on the ground. The Portugal international was taken to hospital as a precaution and subsequently required surgery to treat a nasty laceration on his face. Mings avoided punishment and later apologised to Oliveira. But the FA are looking into the incident. Mings was charged in 2017 for stamping on Zlatan Ibrahimovic and was banned for five games. VERDICT: Tough call. Only Mings knows if it was deliberate. DERMOT SAYS: In these instances, the only person that knows whether the act is intentional is the player that's involved - he's the only one that knows what's going through his head. The FA will look at it but will have to make that judgment - what was in the player's mind? Did he try to get over him? Only Mings knows the real truth. 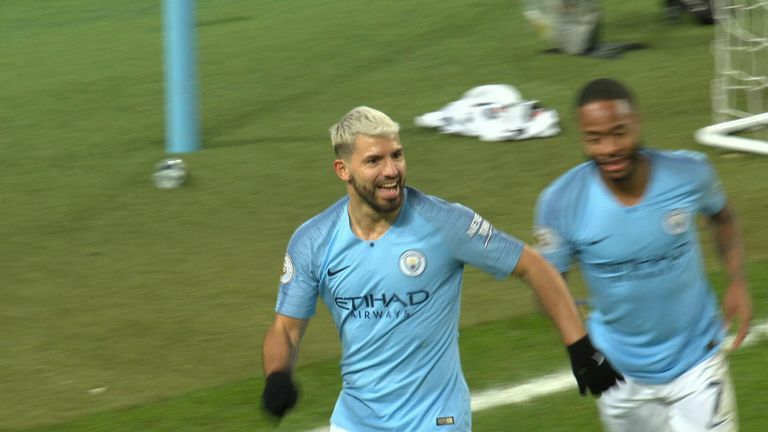 INCIDENT: Aguero slides in to net his hat-trick in City's victory but replays show that the final touch came off his elbow. The referee awards a goal. VERDICT: Tough call, but goal should have been disallowed. DERMOT SAYS: In March, if a ball goes in the net of an attacker's arm it will be disallowed. It's on the list for a law amendment. In defence of Martin Atkinson, he wasn't in a position to see it - next season VAR will be able to intervene. Hopefully, this will be the end of this kind of incident. Aguero hat-trick - but did he handle the ball? INCIDENT: With Leicester chasing an equaliser, Nemanja Matic - already on a booking - catches Harvey Barnes with a high boot. Referee Mike Dean awards Manchester United the free-kick. DERMOT SAYS: It's all about angles. From one angle it doesn't look like foul play but from another may suggest otherwise. It's about being in the optimum position that Mike Dean can't get to. INCIDENT: Burnley win a last-minute penalty after new signing Peter Crouch forces a handball by Jack Stephens. 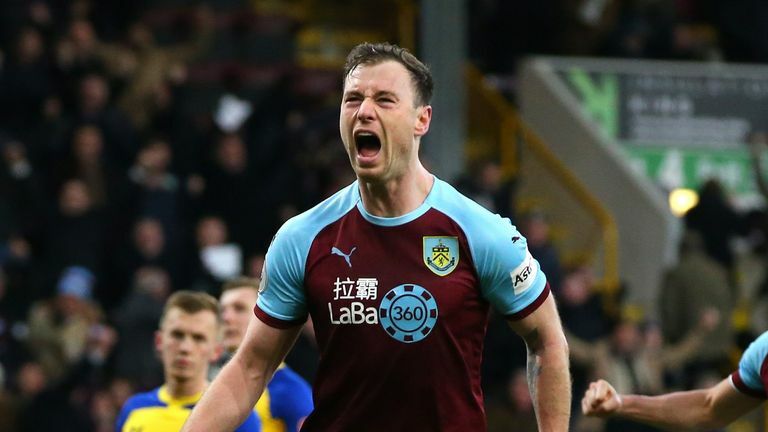 Ashley Barnes converts to win his team a point. DERMOT SAYS: It's impossible for the referee not to give a penalty when a player has his hand that high. Once you put your arm above your head I can't see how that gives you elevation to jump. INCIDENT: Barnes had earlier been booked for simulation after the referee deemed he dived in the penalty box after Southampton goalkeeper Alex McCarthy had come sliding out of his goal. Barnes was furious with the decision, aggressively shouting at the assistant referee but escaped a second yellow card. VERDICT: Wrong decision but Barnes - theoretically - should have been sent off. DERMOT SAYS: When a goalkeeper challenges like that, he's no longer a goalkeeper and he's challenged with his feet. When an outfield player makes a tackle like that, it's a foul. It should have been a penalty. However, the pictures are damming in terms of Barnes' reaction. I can't condone for one second for what Barnes has done - I felt watching on Saturday that he'd get sent off. On reflection, he should have had a penalty, he shouldn't have had a yellow card but he could have been sent- off and left his team with 10 men. That would have been a massive punishment for what was an error by the referee. 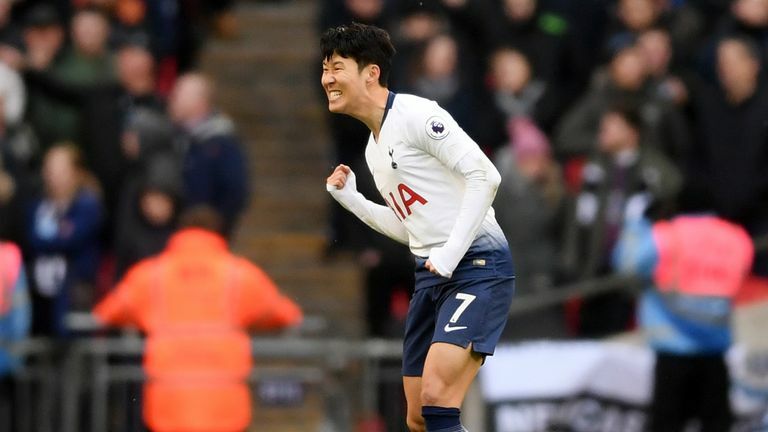 INCIDENT: Heung-Min Son fires home a late winner for Spurs but was there a handball in the build-up by Fernando Llorente? DERMOT SAYS: This was only noticed five minutes after the goal was scored - having watched the replay I'm still unsure whether it hits his arm. The referee has to be sure and he wasn't - so he let the play continue. 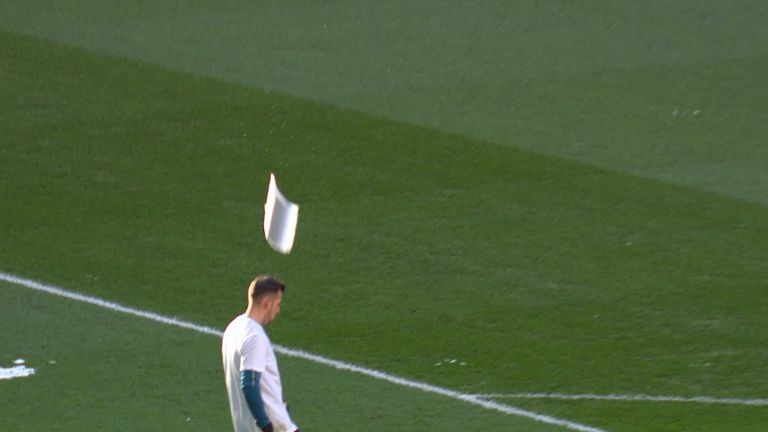 INCIDENT: Ice falling from the Wembley arch caused issues, narrowly missing Martin Dubravka. With freezing temperatures overnight, there was concern for the lunchtime Premier League match, with clumps of ice seen falling onto the pitch from the famous arch over the national stadium. VERDICT: The Match Manager has said that what actually was falling was wet snow and not ice, which had been removed. So what was coming down was soft snowballs - the officials declared that it wasn't dangerous. 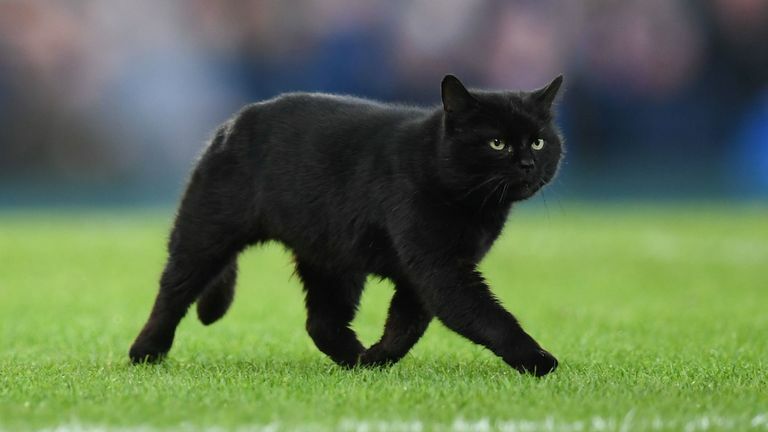 INCIDENT: The game between Everton and Wolves at Goodison Park was held up when a black cat ran on to the pitch. DERMOT SAYS: You have to get him off the field of play and restart. It's not practical to start the game with a cat on the pitch. It makes a mockery of it, so the referee just has to wait until the cat is removed from the pitch.